John and Janet Chantry had a dream of leaving behind the frigid temperatures of Toronto and running a boutique hotel in an exotic setting. In 2015 they decided to make it happen. John left his job as a professional musician and Janet sold her business. They decided Ojochal, Costa Rica was their perfect spot. “Selling everything back home was actually liberating,” says Janet. After finding a small hotel for sale, it only took her one day to put a deal together. Following the purchase, Janet stayed back home in Canada while John got things started in Costa Rica. “He had to live in part of the hotel and help guide the builders. He began to learn the language, and, of course, the ticos were very helpful. They are so friendly and warm; they truly want to help you and welcome you to their country,” says Janet. 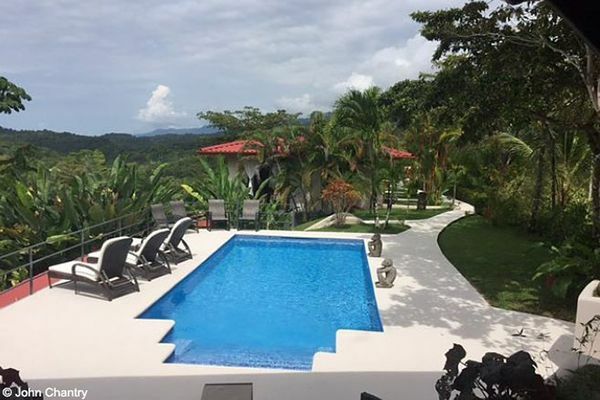 Now, they have both moved full-time to Costa Rica, living right next to their boutique hotel, called Alma de Ojochal, and their restaurant and music venue, The Bamboo Room. The hotel and adjoining restaurant sit atop a mountain just above the coastal highway that runs from Nicaragua down to Panama. 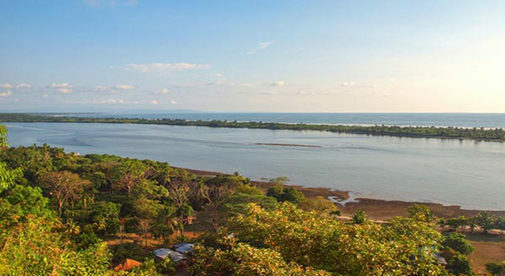 Travelers can easily access the waterfalls and beaches nearby or make the half-hour drive to Sierpe and catch a boat down to Drake Bay and the Osa Peninsula. John’s Bamboo Room is a pet project that grew from his love of music. A full performance venue with professional sound system and theatrical lighting, it features the best local and sometimes international talent, six nights a week—often including John himself. The place is decorated with John’s wildly eclectic collection of musical instruments and memorabilia gathered throughout his career. The pool at John and Janet’s hotel, Alma de Ojochal. Every day the Chantrys and their guests wake to green parrots, scarlet macaws and howler monkeys, noisily greeting the morning from the nearby jungle, while the waves of the Pacific thunder onto the beach below. As they sip rich Costa Rican coffee, banks of white clouds move slowly across the high ridges behind them. “We love people and we love nature,” says Janet. “At Alma we feel we get the time to enjoy Costa Rica and truly realize why it’s rated one of the happiest places on the planet.